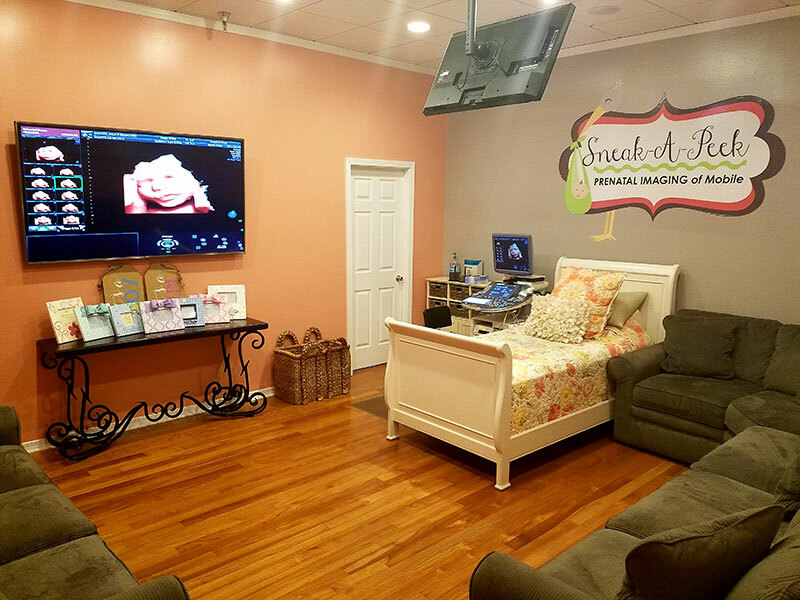 Sneak-A-Peek Prenatal Imaging of Mobile, LLC | We provide you and your family the opportunity to interact and share this once in a lifetime experience through the eyes of 3D/4D Ultrasound technology. See your little miracle through the eyes of our 3D/4D/HD Live ultrasound technology. A Sneak-A-Peek gift card makes an exceptional gift for any expecting mother! Imagine the wonder of seeing your precious baby before you welcome him or her into the world. At Sneak-A-Peek, we provide you and your family the opportunity to interact and share this once in a lifetime experience through the eyes of our State-of-the-Art 3D/4D and HD Live ultrasound technology. Come relax in our warm, spa like environment and witness your little miracle in our theatre viewing facility. From those adorable chubby cheeks to seeing your baby’s hands and feet, we provide a bonding experience like no other. If you are interested in scheduling an ultrasound appointment please contact our office. We do not schedule any appointments through our website or Facebook page. Thank you! Copyright 2016 Sneak-A-Peek Prenatal Imaging of Mobile, LLC. All rights reserved. Site Design by Mobile Web Design.